Your business thrives on customers and sales, and a great way to increase both is to jump on the online review site bandwagon and use them to your advantage. When it comes time to make a purchasing decision, today’s consumers are turning to sites like Foursquare in order to see what businesses are in the area, what deals they can snag, and what other customers are saying—and all of this information impacts whether or not they purchase from you. So whether you’re an Internet-savvy marketer or still unsure what Foursquare truly is, here are a few must-use tips to help you be successful with the popular online review site. 1. Choose a check-in location. Foursquare is a location-based service, and in order for your customers to enjoy the perks of “checking in” to your establishment, you have to have a location set up. Simply set up an account with Foursquare and create your establishment’s listing. This way, when customers visit your establishment, they can easily “check in”. Plus, since most Foursquare users have their accounts set up with Twitter or Facebook, when they check in to your establishment, all of their social networking followers will know where they are, and that can generate interest in your business. 2. Provide plenty of details. 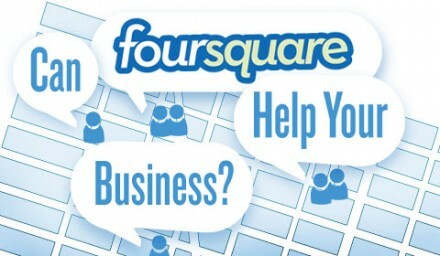 Your business listing on Foursquare is very important, and you need to be as detailed and as specific as possible. For example, by entering in your address, you’re now allowing Foursquare users to find your location when they’re in the area. If you add keywords to your descriptions and listing, you will allow your establishment to be found when users are performing a specific search for something that you sell or offer. This is the best way to have Foursquare work for you and help generate more traffic to your establishment. 3. Offer a great incentive. Foursquare allows you to provide your customers with incentives every time they check in to your establishment or after receiving a certain number of check ins. Most businesses tend to offer their customers a free item or a discount off their purchase, but you can also get creative with your offer too. For example, one restaurant offers “the Mayor” of their business the ability to eat at the restaurant without making a reservation. If you just recently signed up for Foursquare, then your customers may not know that you’re now on it. This is why it’s very important that you promote your Foursquare account. Put signs around your establishment, add a blurb about it to your receipts and make sure that your employees are spreading the word to your customers. Since some Foursquare users will turn to the site to find local businesses, you can entice them to choose your business over the competition by promoting special deals or promotions that you are currently running. There is a tips section on Foursquare where you can add this information, and it’s a great way to give a snippet of what you have to offer to entice new customers to come in. Jessica Brown is a freelance writer and business manager. She enjoys blogging about business related topics and recently provided information about the foursquare 10 point rating system.